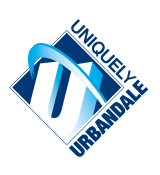 It is the policy of the Board of Directors of the Urbandale Community School District to recognize and maintain the distinction between those activities which are appropriate to the Board of Directors as the legislative, governing body of the School District, and those administrative activities which are to be performed by the Superintendent of Schools and the Superintendent’s staff in the exercise of delegated administrative authority. The function of the Board of Directors can be described as policy making, appraisal, and evaluation. The Board of Directors shall have the further duty of approving the financial means by which the educational program is conducted. The Board shall also ensure that the community is involved in assessing and is kept informed of the needs, purposes, values, goals, objectives, achievements and status of the District. The intent of the Board of Directors is to establish policies and rules for conducting its business which ensure that the community has notice of and input into Board decisions and which ensure orderly and efficient procedures for conducting business. Legal Referencees: 279.8, 280.3,280.12,280.14,280.18, Code of Iowa; 281 I.A.C. 12.2, 12.8.